App Stores are broken. It’s virtually impossible to find the interesting apps among the thousands of low-quality offerings. If an app isn’t in the top 10 of its respective category, chances are you won’t find it. Apple’s “Genius” feature was so dumb, it was dropped in iOS 7 and replaced with an even less interesting “Apps Near Me” feature that shows you the apps the people around you are using. Microsoft is trying to fix the top 10 myopia by launching a more curated app store experience in Windows 8.1, but even there, existing rankings still play a major role. Mozilla, which is only now getting into the mobile game thanks to its Firefox OS initiative, has had the advantage of seeing what its competitors have been doing for the last few years. 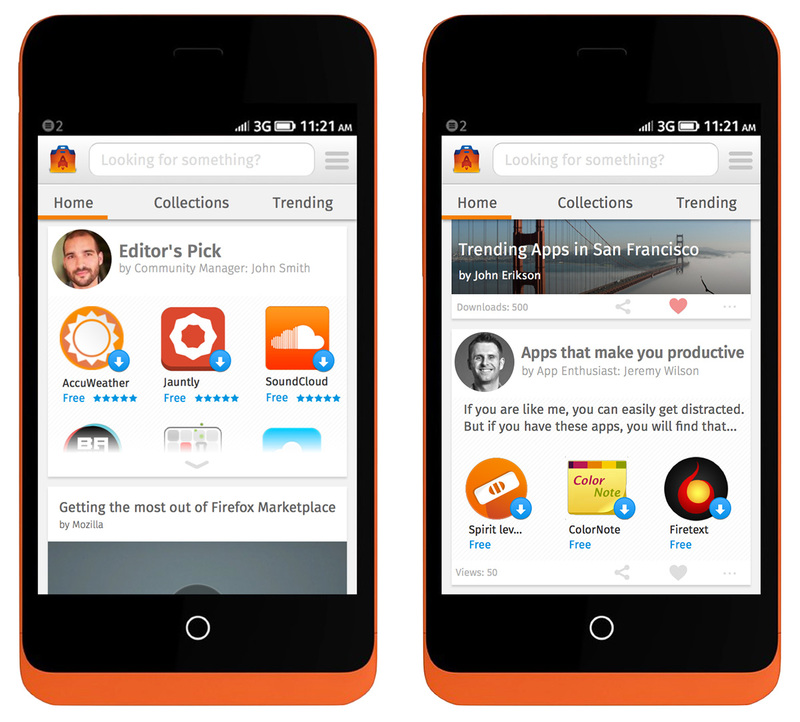 While the current Firefox OS Marketplace isn’t all that revolutionary (though it’s focus on web apps gives it an interesting new spin on the app store concept), the organization laid out plans for an app store prototype last week that puts some interesting new twists on what its competitors are doing. In today’s app stores, Mozilla argues, “you only see the content picked by whoever maintains the app store. It’s hard to feel that personal connection.” Even if you want to browse for new apps, you don’t know what to search for, unless your friends tell you about an app or you read about it somewhere. In the long run, however, Mozilla envisions that users will curate the majority of the feed. It’s not clear what exactly this curation process will look like – and it’s something some third-party app stores have also tried – but it’s a concept few of the other vendor stores have tried so far and given the importance of social signals. Android’s store, of course, tells you when an app has also been downloaded by your friends, but that’s still a very different experience from essentially offering curated lists from your friends. The Mozilla team also notes that in its research, user engagement with app stores tends to drop over time (something I’ve definitely noticed in my own usage of them). There’s just very little fun in using them. Mozilla thinks having “whimsical” micro-copy and animations will help it retain users, but for the most part, I think its idea to allow users to “constantly discover diverse content including apps, collections, articles, reviews, videos and more” in the store could be the winning concept here.